House Democrats have found a way to address Republicans’ polling advantage on national security: Teach candidates a better way to talk about the issue. While President Barack Obama still outpolls congressional Republicans on national security, a new Third Way/Greenberg Quinlan Rosner poll out Monday gives the GOP the edge in a generic Republican vs. Democrat matchup on the issue. And the problem is particularly acute for Democratic women: A study to be published in the Journal of Women, Politics & Policy shows support for Democratic women drops 11 percent when public fear of terrorism is high. 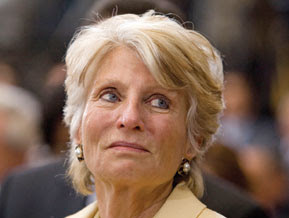 To combat the problem, House Democrats have asked Third Way, the centrist Democratic think tank, and California Rep. Jane Harman, a leader on intelligence issues in the House, to help lead training sessions on the issue.